We want to build a better future for women and girls in NW Pakistan! Khwendo Kor is working right now, running schools, training women artisans to market their products, organising health clinics and medical camps, and helping women get the identity cards that they need for voting and for accessing humanitarian aid. They work in isolated and dangerous areas to bring about long-lasting change in villages where women are key to making improvements. Khwendo Kor’s international donors give money for very specific ends. They are keen to start schools but not so ready to provide ongoing support or fund general administration, security or a rapid and flexible response to emergencies. Money raised by FROK goes direct to KK to help them meet these needs but also to fund projects that have not yet attracted international support. 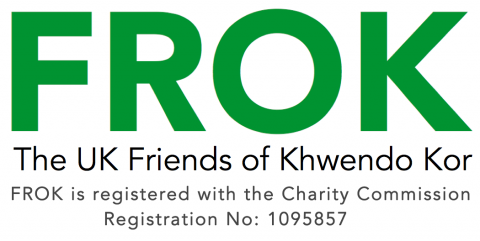 FROK is the only UK charity set up to support Khwendo Kor. How can FROK help me support Khwendo Kor? Donate from your mobile by texting free to 70070 with the following message: FROK10 £[put here the number of pounds you want to donate – choose from 1,2,3,4,5 or 10]. Trusts, faith groups and philanthropists interested in helping – use our contact form to get in touch with FROK’s chairperson. Please see our leaflet below for just some of the specific uses to which your donation could be put.